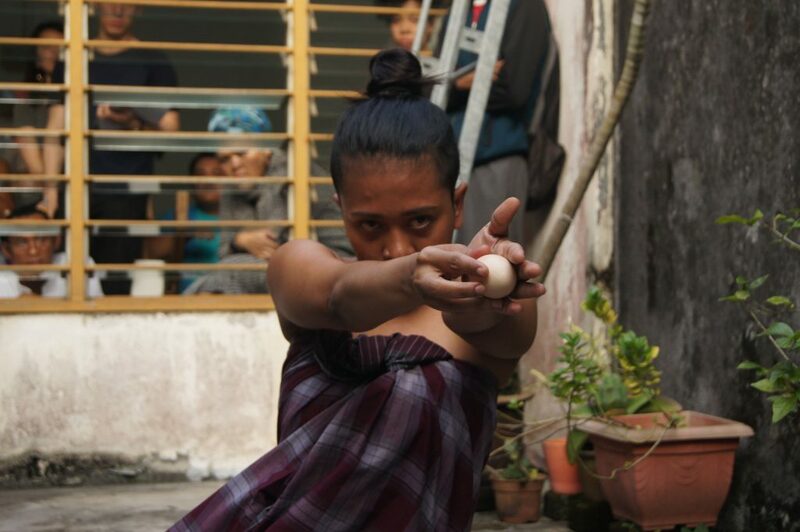 Gluck50 is pleased to announce Semuka | Genetico, by Malaysian performance artist Intan Rafiza. This special project is a new episode of the continuing series of Face to Face-SEMUKA, a project the artist had initiated since 2016. The basis of Face to Face-SEMUKA is founded upon the artist – a dialogue with the audience concerning social and political issues via the medium of performance art. Embraced in the intricacies of understanding art and how their lives are touched and interrogated by it, the new work stands as an intimate conversation between mother and daughter, and their expectation of each other. This artwork focuses on women’s issues, moral, religious and socio-cultural issue in the light of societal perception. Performance is one of the most important artistic expression in South East Asia and in Malaysia, where it is connected with political activism which recently contributed to the change of the leadership of the country after more than 60 years. Intan Rafiza (b. 1981) is a curator and artist. Graduating with a BA in Fine Art from Universiti Teknologi MARA (UiTM), Malaysia, her art pieces are complete within performance art. Practicing performance art for the past 14 years, her artworks reflect and respond to the socio-political situations, locally and internationally. Taking the bold step of creating performance art as expression and medium in an environment that is unfamiliar with contemporary art and with no commercial values in galleries, her works express themes of self censorships in a religiously political situation in Malaysia. Her performance pieces were exhibited most notably at Asiatopia Conference SE Asia, Bangkok, Thailand, 2016; 5th Beyond Pressure Festival, Myanmar, 2012; and ‘I’m Not Here, Nor There’ (in collaboration with Malaysia Indonesian & Japan Artist), Kuala Lumpur National Arts Gallery, Malaysia, 2004. Currently she is working on her performance art series ‘SEMUKA (face-to-face)’.